Over the weekend as I was passing on Rachel I stopped by at La Maison des Pates Fraiches. My sister had recommended the place to pick up fresh pasta and sauces and I wanted to see what they had to offer. Even if the french name means fresh pasta they have a lot more to offer than just pasta and sauces. They have a full counter with pasta and sauces, but also charcuterie and deserts. As they also offer catering and have been doing so since 1994 for the neighborhood and film crews around Montreal, they also have a order counter where you can opt for take out or eat in as they have sitting areas. 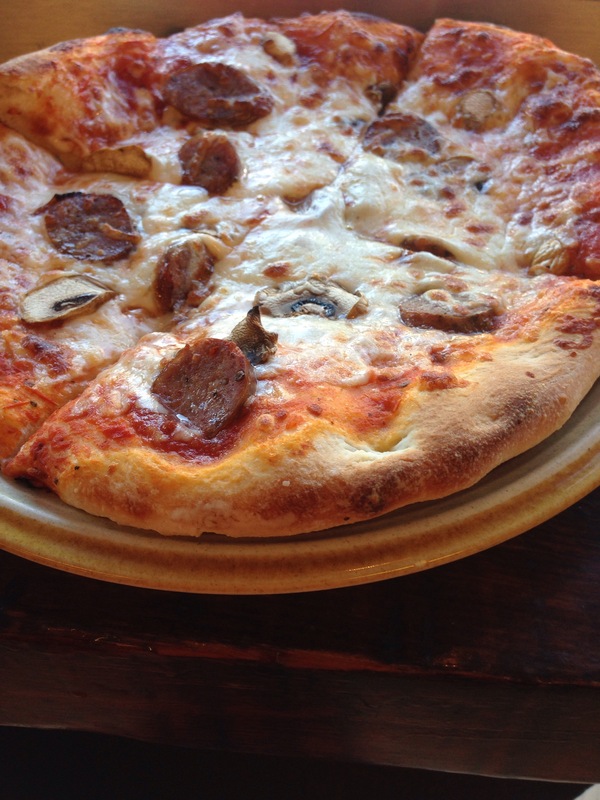 I had a pizza with Italian sausage and mushrooms that was excellent and more than reasonably priced. I will be going back for sure to try some of their pastas and probably let myself be tempted by their cannolis.